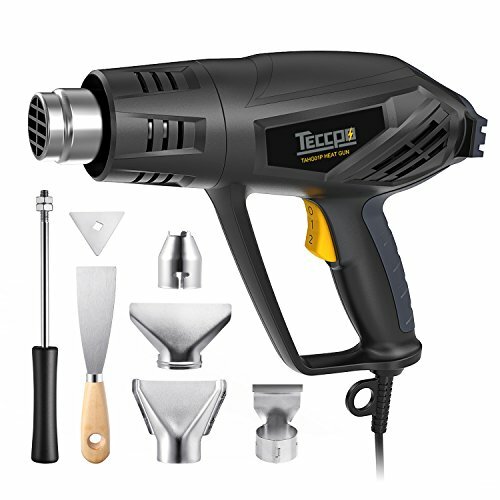 TECCPO delivers innovation in heat guns with the introduction of the TAHG01P HIGH PERFORMANCE PROFESSIONAL Heat Gun. The 3 variable temperature control allows for adjustment of the heat settings on the gun. Built-in overheat protection shuts the heating element down and prevents burn up. When turning off, be sure to shift to 0 and wait the cool wind automatically run for a minute to prevent the engine from overheating. Start with a low temperature setting and increase the temperature gradually.